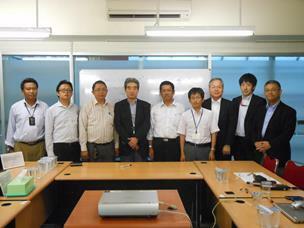 nergy Saving Solution for Commercial sector SWG (Energy Saving Solution WG) dispatched a fact-finding mission to Indonesia, which SWG leader is Mr. Maekawa, executive officer of Japan Facility Solutions. At the request of the ESCO Association of Indonesia, we conducted a hearing survey of energy saving situation, energy legal system and finances from Indonesian government, and a trial energy audit for the purpose of exploring the energy management conditions in the Grand Indonesia Shopping Town in Jakarta. Visited: The ESCO Association of Indonesia, ACE, JICA, Ministry of Environment and Mineral Resources, Energy management Indonesia, Grand Indonesia Shopping Town and etc. 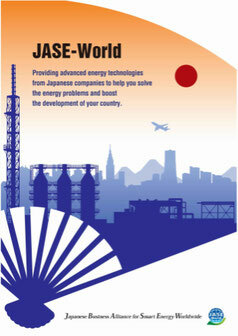 Participants:Japan Facility Solutions, Inc. Electric Power development Co., Ltd. Hokuriku Electric Power Company, secretariat of JASE-W.